Gary is a statistical consultant for Stat-Ease, Inc. He has a long list of achievements in the field of statistics, and in particular, design of experiments (DOE). Gary teaches courses in DOE at the University of Minnesota, where he is a professor of applied statistics. He has also taught at Princeton University and the University of California, Berkeley. 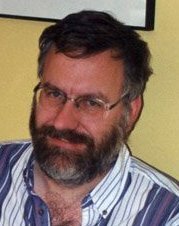 In the winter of 1987, Gary began development of MacAnova, a computer program on statistics for the Macintosh, DOS and Unix. Originally created for his university courses in design of experiments, it is now used in other statistics courses as well. In addition to his programming skills, Gary is the author of numerous articles and a textbook on design of experiments, "First Course in Design and Analysis of Experiments," Palgrave Macmillan London 2000. MacAnova is used extensively in the book.